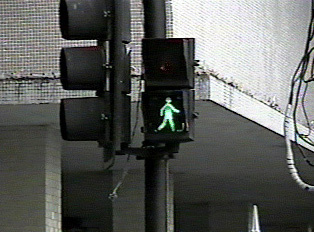 Pedestrians are warned to make sure cars have stopped before they cross the street, whether at a crosswalk or a stop light. Attention to crossing becomes even more important late at night when cars are more likely not to stop for fear of being robbed. On some busy streets, there are often crosswalks built over the street. 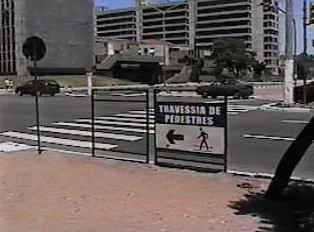 These must be used, since there is no law protecting a pedestrian who is injured while crossing underneath. Since tourists are more likely to be robbed, it is important to find ways to "blend in." Minimize cash on hand and pay careful attention when carrying photographic equipment and other handheld valuables. Choose purses or knapsacks that are difficult for pickpockets to access. A traveler is advised to be aware of the neighborhood, and when out at night, to travel in a group. 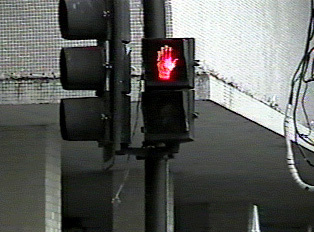 One can always ask directions of other pedestrians. Brazilians are generous in this regard, and will offer as much information as needed.